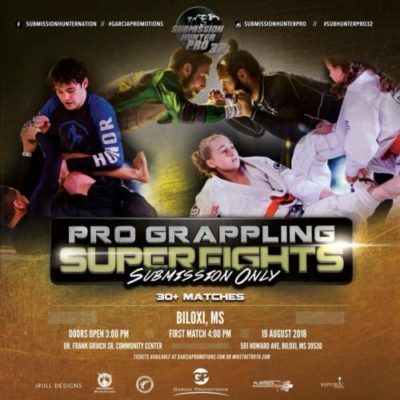 Submission Hunter Pro makes its first appearance in Biloxi, Ms for Submission Hunter Pro 32. The August 19 card takes place the Gruich Community Center, and will feature 30+ grappling matches. Check out the complete card below. Make sure to get your tickets here at MikeTheTruth.com. You can select your favorite grappler to support them.